The SquirrelMail package from the Debian/Ubuntu repositories comes with a configuration file for Apache, but not for nginx. This tutorial shows how you can use the Debian Squeeze/Ubuntu 11.04 SquirrelMail package in an nginx vhost. Nginx is a HTTP server that uses much less resources than Apache and delivers pages a lot of faster, especially static files. I want to use SquirrelMail in a vhost called www.example.com/example.com here with the document root /var/www/www.example.com/web. 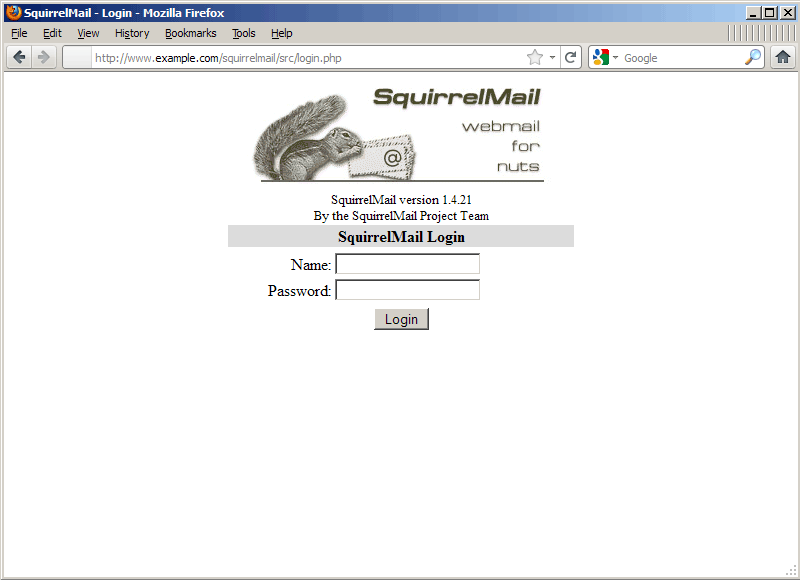 You can now find SquirrelMail in the /usr/share/squirrelmail/ directory. 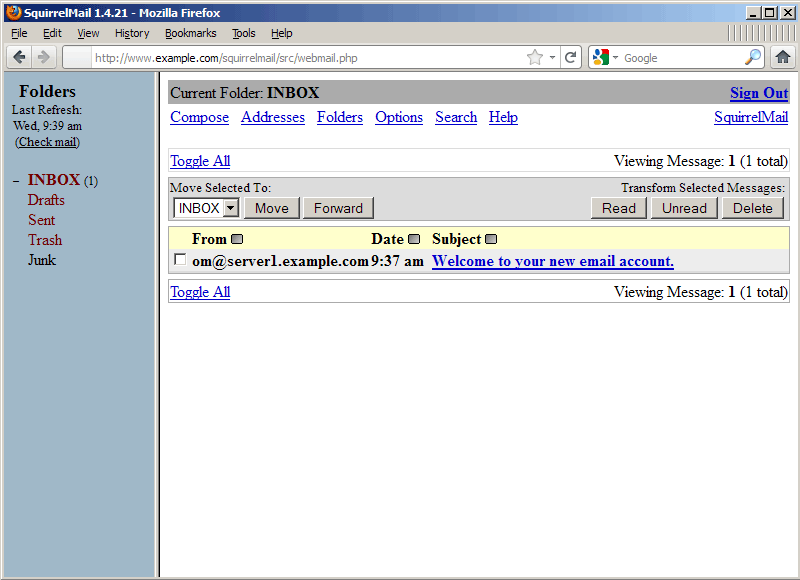 Now we must configure our vhost so that nginx can find SquirrelMail in that directory. 1st : Dont use this tutorial because between the author wrote it until now , everything have changed and most options do not work . and by this it means that nothing will work .